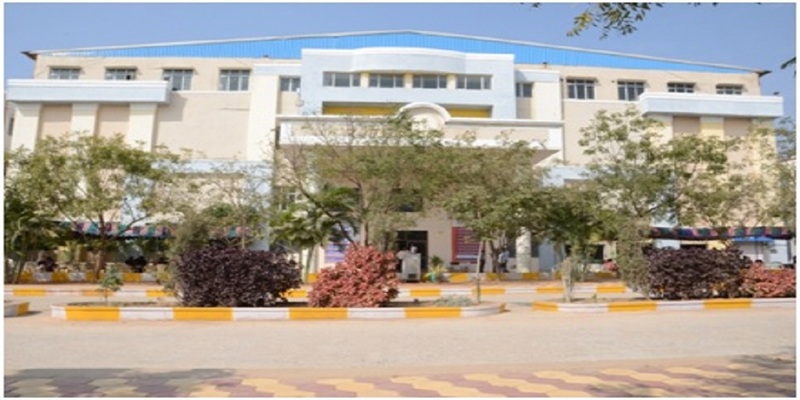 MRCET is an undisputed leader in creating campus placements and these are growing year over year at a rapid place which is contributing to the brand image of the institution. The T&P Cell works around the clock to ensure the students of the college get placed in reputed companies. MRCET attaches greater importance to the students in overall development, particularly in communication skills, problem solving capabilities and value added programs. This kind of holistic development ensures that the student is transformed into a perfect fit in today’s competitive job market. The college has MOU’s with top companies like Tech Mahindra, NTT Data, ZenSar etc, which provides recruitment opportunities to our students in their companies. Our well-equipped campus placement training team is headed by Prof. K. Kailasa Rao, Dean of placements, along with a team of eminent professors with a proven track record and professionals who have made a mark in the industry. We introduce our students to the concepts of corporate culture and a sense of influential patronage. The dean of placements streamlines the Campus Recruitment and Training (CRT) activities creating a positive impact on the employment process and ensures that the potential candidates get absorbed into the companies of their choice. Why MRCET should be your first choice? 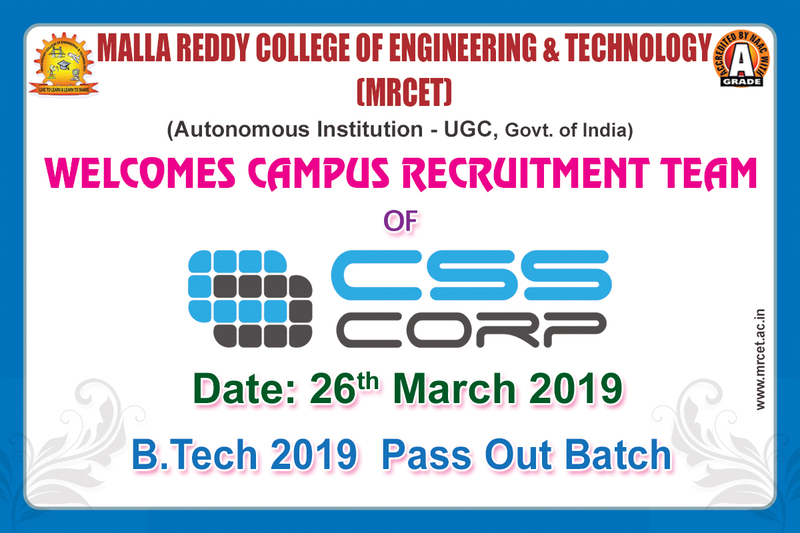 CSS CORP Placement drive @ MRCET on 26 March for 2019 pass out batch. Global Logic Placement drive @ MRCET on 23 March for 2019 pass out batch. Sutherland Placement drive @ MRCET on 19 March for 2019 pass out batch. Cognizant Placement drive @ MRCET on 02-03 March for 2019 pass out batch. HSBC Placement drive @ MRCET on 12-02-19 for 2019 pass out batch. Prolifics placement drive @ MRCET on 21-02-19 for 2019 pass out batch. Sutherland placement drive @ MRCET on 11-02-19 for 2019 pass out batch. Mphasis placement drive @ MRCET on 08-02-19 for 2019 pass out batch. C3i placement drive @ MRCET on 30-01-19 for 2019 pass out batch. Amazon placement drive @ MRCET on 28-01-19 for 2019 pass out batch. IBM placement drive @ MRCET on 10-01-19 & 11-01-19 for 2018 pass out batch. CYIENT placement drive @ MRCET on 11-01-19 for 2019 pass out batch.